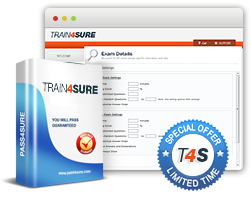 Train4sure is a reputable provider of high quality learning materials that help 99.3% of our customers pass their exams from the first try. How do we do this? This is only made possible by the talented team of dedicated professionals. We are truly a dream team, we believe in talent and professionalism, and, what's important, we're always hiring! Please provide additional details about your qualification and requirements regarding Train4sure Career Program.